This sample Maxim Gorky Essay is published for informational purposes only. 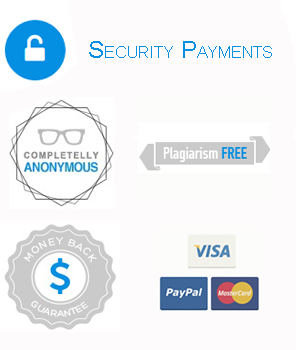 Free essays and research papers, are not written by our writers, they are contributed by users, so we are not responsible for the content of this free sample paper. 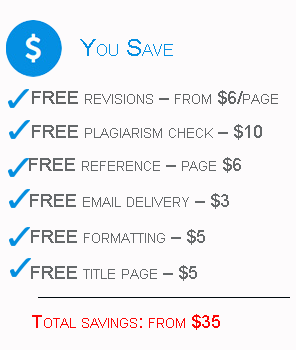 If you want to buy a high quality essay at affordable price please use our custom essay writing service. Maxim Gorky (a pseudonym for Alexei Maximovich Peshkov) is recognized as one of the earliest and foremost exponents of socialist realism in literature. His brutal yet romantic portraits of Russian life and his sympathetic depictions of the working class had an inspirational effect on the oppressed people of his native land. From 1910 until his death, Gorky was considered Russia’s greatest living writer. Gorky the tramp, the rebel, is as much a legend as the strong, individual characters presented in his stories. His hero was a new type in the history of Russian literature—a figure drawn from the masses of a growing industrialized society; his most famous novel, Mother (1907), was the first in that country to portray the factory worker as a force destined to overthrow the existing order. Gorky was orphaned at the age of ten and raised by his maternal grandparents. He was often treated harshly by his grandfather, and Gorky received what little kindness he experienced as a child from his grandmother. During his thirteenth year, Gorky ran away from Nizhny Novgorod, the city of his birth (later renamed Gorky), and lived a precarious existence as a tramp and vagrant, wandering from one job to another. Frequently beaten by his employers, nearly always hungry and ill-clothed, Gorky came to know the seamy side of Russian life as few writers before him. At the age of nineteen, he attempted suicide by shooting himself in the chest. The event became a turning point in Gorky’s life; his outlook changed from one of despair to one of hope. Within a few years he began publishing stories in the provincial press. Written under the pseudonym Maxim Gorky (Maxim the Bitter), these stories stressed the strength and individualism of the Russian peasant. When they were collected and published in Ocherki i rasskazy (1898-99), Gorky gained recognition throughout Russia. His second volume of stories, Rasskazy (1900-10), along with the production of his controversial play The Lower Depths (1902), assured his success and brought him acclaim in western Europe and the United States. Gorky’s fame in the West coincided with increasing suspicion from the Russian authorities, who considered the author a source of the country’s growing political unrest. In 1901, he was briefly jailed for publishing the revolutionary poem ”Song of the Stormy Petrel” in a Marxist review. Three years later, he established the Znanie publishing firm to provide a forum for socially conscious writers. The friendship and advice of revolutionary leader Vladimir Lenin strengthened Gorky’s growing political radicalism. He was very active during the revolution of 1905, and after its failure he was forced to flee abroad. He was allowed to return home in 1913, and again he resumed his revolutionary activities. During the 1917 revolution and the ensuing years of political chaos, Gorky saved the lives of several intellectuals by interceding on their behalf with the communist regime. He left Russia one last time and settled on the island of Capri for health reasons. In 1928, on his sixtieth birthday, he returned to the Soviet Union to a national celebration of his literary, cultural, and moral contributions to the socialist cause. His death several years later, allegedly by poisoning, is still enveloped in mystery. Gorky’s heroes represent protest and unrest: either tramps, cold and hungry but free and without superiors to command them; or strong, positive, lonesomemen. Gorky differentiates his characters according to their ideology; their personal relationships only emphasize their ideological clashes. The domestic conflict, for example, in Smug Citizens (1902) is projected onto a social canvas, and the play acquires a political dimension especially topical in pre-1905 Russia. Also in Smug Citizens, the worker Nil emerges as the first proletarian character in Russian theater. He, like Gorky himself, hates the small bourgeoisie and their materialism. Gorky once explained that Nil was ”a man calmly confident in his strength and in his right to change life,” the shortcomings of which aroused in his soul ”only one feeling—a passionate desire to do away with them.” The working men, ”tattered, drenched with sweat,” were singled out by Gorky as the only hope for the future. In the smug middle class he saw nothing but decay. Through this attitude, the formerly romantic Gorky arrived at the straightforward and rugged realism that connected him with one of the basic traditions of Russian literature. After 1902, Gorky wrote a series of plays attacking the new intelligentsia. Summer Folk takes up where Chekhov’s Cherry Orchard leaves off: the inheritors of a cherry orchard have, instead of creating a better world, settled for the complacency and futility of their predecessors’ lives. ”We do nothing except talk an awful lot,” says one character, while another ends a long diatribe on the intelligentsia’s alienation from the masses with self-reproach: ”We have created our alienation ourselves . . . we deserve our torments.” Summer Folk is one of Gorky’s most static plays; however, the topicality of the play excited the audiences of the day. Reminiscences of Leo Nicolayevitch Tolstoi (1919). The trilogy is considered one of the finest autobiographies in the Russian language. The work reveals Gorky as an acute observer of detail with a particular talent for describing people. The third group, by far the largest, consists of a number of novels and plays that are not as artistically successful as his short stories and autobiography. Gorky’s first novel, Foma Gordeyev (1900), illustrates his characteristic admiration for the hard-working, honest individual. The novel was the first of many in which the author portrayed the rise of Russian capitalism. Among the twelve plays Gorky wrote between 1901 and 1913, only one, The Lower Depths, deals with the ”dregs of society.” Though the play has most of the structural faults of his other dramas, primarily one-dimensional characters and a preachy tone, it is still regarded as one of the greatest proletarian dramas of the twentieth century. Gorky’s other plays, including The Smug Citizens (1902), The Barbarians (1906),and Yegor Bulichov and Others(1932), focus either on the intelligentsia or on the struggle between capitalist and socialist forces in pre-Soviet Russia. Whatever the ambiguities of Gorky’s political allegiances after the Bolsheviks (the early Communists of the 1917 Russian Revolution) came to power, the Soviet government saw him as a figure who could help bring prestige to the young regime. The authorities came to refer to him as the ”father of Soviet literature” and even named various schools, theaters, institutes, ships, and factories after him during his lifetime. Yet, following the collapse of the Soviet Union in 1991, some of the most prominent entities reverted to their former names: hence, Gorky Street in Moscow again became known as Tverskaia Street, and the large city where he was born, located on the Volga River, reverted from Gorky to its earlier name of Nizhny Novgorod. In the cultural world Gorky was the guiding force behind literary groups before the revolution, did all that he could to protect and nourish a fragile Russian culture during the Civil War, and later helped many young writers make their way into Soviet literature. Some of his own writings, in particular his novels, have had a mixed reputation, but many of the works that have largely fallen out of view—most of his plays of the 1910s and his stories of the 1920s—are worthy of rediscovery. Ultimately his literary reputation rests securely on a handful of acknowledged masterpieces: his play The Lower Depths; stories such as ”Twenty-Six Men and a Girl”; his memoirs of leading writers (especially Tolstoy); and, finally, his autobiographical writings, which offer an unmatched view of provincial Russia. Borras, F. M. ”Criticism by F. M. Borras.” DISCovering Authors. Online ed. Detroit: Gale, 2003. -. Maxim Gorky the Writer: An Interpretation. Oxford: Oxford University Press, 1967. Dictionary of Literary Biography, Volume 295: Russian Writers of the Silver Age, 1890-1925. A Bruccoli Clark Layman Book. Ed. Judith E. Kalb, University of South Carolina, and J. Alexander Ogden, University of South Carolina. Detroit: Gale, 2004. Donchin, Georgette. “Gorky.” DISCovering Authors. Online ed. Detroit: Gale, 2003. Edwards, George Clifton. ”Maxim Gorky.” DISCovering Authors. Online ed. Detroit: Gale, 2003. Gourfnkel, Nina. Gorky. Westport, Conn.: Greenwood Press, 1975. Hare, Richard. Maxim Gorky: Romantic Realist and Conservative Revolutionary. Westport, Conn.: Greenwood Press, 1978. Huneker, James. ”Maxim Gorky’s ‘Nachtasyl.’ DISCovering Authors. Online ed. Detroit: Gale, 2003. Levin, Dan. Stormy Petrel: The Life and Work of Maxim Gorky. New York: Appleton-Century, 1965. ”The Lower Depths.” Drama for Students. Ed. Ira Mark Milne. Vol. 9. Detroit: Gale, 2000. Mirsky, Prince D. S. ”Gorky.” DISCoveringAuthors. Online ed. Detroit: Gale, 2003. ”Overview of Alexei Maximovich Peshkov.” DISCovering Authors. Online ed. Detroit: Gale, 2003. ”Peshkov, Alexei Maximovich (1868-1936).” DISCovering Authors. Online ed. Detroit: Gale, 2003. ”Study Questions for Alexei Maximovich Peshkov.” DISCovering Authors. Online ed. Detroit: Gale,2003. Weil, Irwin. Gorky: His Literary Development and Influence on Soviet Intellectual Life. New York: Random House, 1966.